Oooo I’m so excited for my holiday to Amsterdam!! So in honour of that I thought I would give you a sneak peak into what I’m taking with me on the trip. I decided I didn’t want to pay the charge for extra baggage, so to save costs I opted for carry on only. It has definitely been tough as I am known for my oversized bags. But the challenge was accepted! The bag restrictions on the plane meant I had to find a suitcase that was 50cm x 35cm x 20cm and the overall weight had to be less than 10kg. This is very small in comparison to the whopper of a suitcase I took with me to Austria. It definitely wouldn’t fit into the luggage hold! 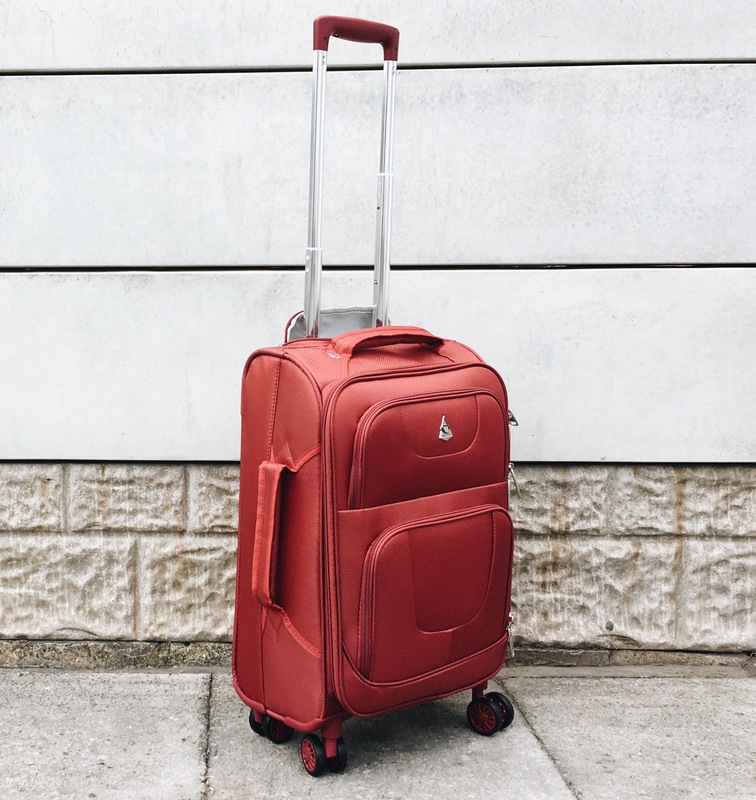 The first step for me was finding the suitcase, I wanted one that was lightweight but also had good reviews so it would hold the test of time and be durable. 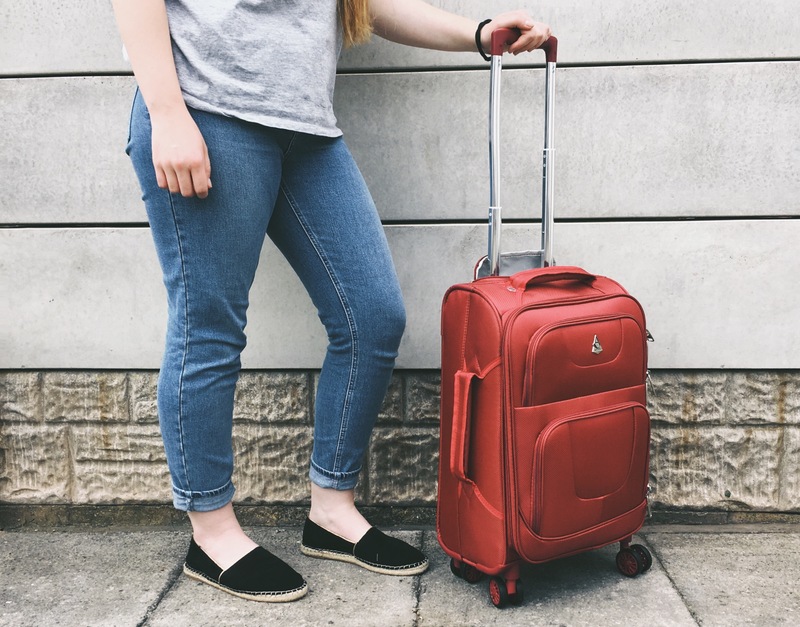 After doing a fair bit of research I stumbled across the Aerolite Super Lightweight Suitcase it was the exact measurements I needed and had really good customer ratings. I’ll do a review of this when I get a good testing out of it. Once the basics was sorted it was time to go clothes shopping. I am the worst at buying clothes for the hot weather. Give me a wooly jumper any day but a dress… hmmm… that’s another story. Let’s face it when you live in the UK the weather is rainy and below 15 degrees most of the year so you rarely get chance to break out the summery clothes. So I felt I needed to get some weather appropriate clothes. Since I am only going to Amsterdam for three days I planned my outfits carefully and ensured I only packed what I needed to make packing more efficient. I also put aside the heavy and more bulky clothes to wear onto the plane to keep my suitcase as light as possible. The first thing I packed was toiletries, I checked the hotel to see what complimentary products they offered to save packing unnecessary extras. So towels, body wash, soap and shampoo were items I didn’t have to pack. For things that I wanted to take I brought empty bottles and pots to fill up at home. 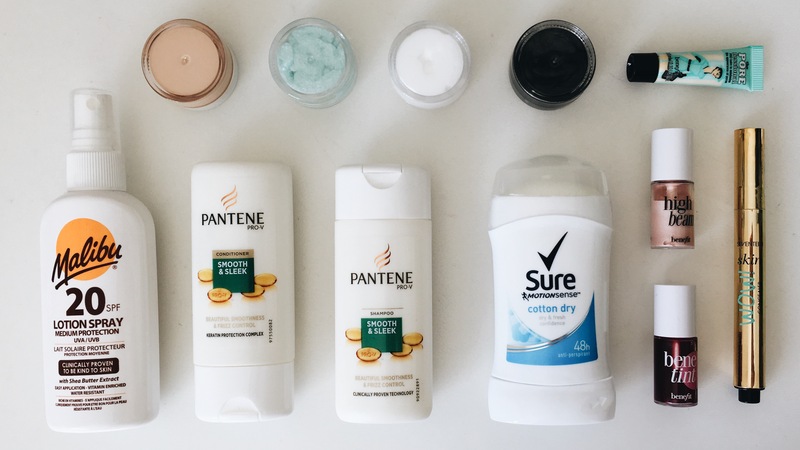 These Travel Bottles are squishy meaning it is easier to get product out and the smaller tubs are really good for the items you don’t need so much off. For me this included foundation and face wash. It stacks really well and means I can take just the right amount of product whilst cutting down on space. This will be placed at the front of my suitcase so it was easy to get hold of when going through baggage checks. Other things that I have packed include my trusted camera! Of course I’m going to take it, there is a lot of photography opportunities in Amsterdam and I’m not going to miss out on the opportunity. Sticking with the technology I have also packed a battery bank, a charging adaptor and cables. These went into my backpack as it was more convenient option. I have kept it simple in regards to technology, only taking what is necessary. In terms of actually packing my suitcase I like to do a few packs if I’m honest. 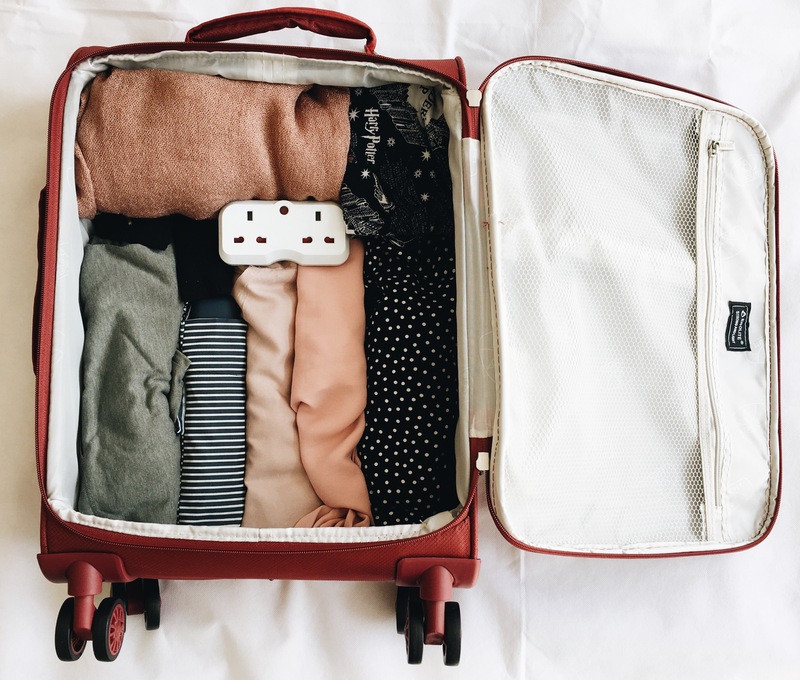 It starts about a week or even two weeks before, that is when I slowly start putting things in the suitcase that I plan on taking with me. It helps me to visualise what I am taking and helps me stay organised. Then as the holiday draws closer I begin doing final packs which gets checked the night before to make sure I have everything with me. I like to pack heavier things to the bottom of a suitcase so it doesn’t ruin anything when the case is placed upright. As well as rolling all of my clothes so they don’t crease, it also fits really well into the grooves of the bottom of the case, utilising as much space as possible. That is pretty much my carry on luggage for a short stay abroad and what I pack in it. How do you find packing suitcases, have you ever gone on a holiday using a carry on alone?? Be sure to look out for a suitcase review when I get the chance to test it out better, as well as my blog posts on Amsterdam! P.S – Be sure to enter My Competition in last weeks blog post about JewelCandle. I love touring Amsterdam. I still need to see the Van Gogh and the Rijksmuseum. have fun! Enjoy your holiday! 😀. It must be nice not having to check in a suitcaseand wait for it at the carousel! Have fun on your holiday! I do use carry on bag and a small backpack as well every time I’m going on a short holiday. It’s just so convenient personally for me who travels alone 😁 Get in and out of the plane hassle free and kicking off the adventures right away! It’s brilliant you just walk straight out the airport with everything in hand!